➤ Factor #1- ISP: Every ISP such as Telstra or iiNet cache DNS records to speed up the world’s websites. Some ISPs only update their caches every 2-3 days meaning if you change name servers it may take some computers several days to pick up the new cache. This means your computer might reflect the new website address, whilst your neighbour might be looking at the old website! 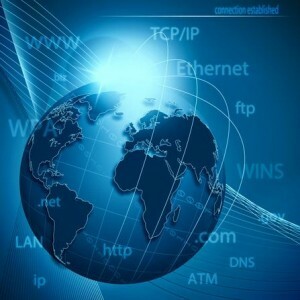 ➤ Factor #2- Domain Name Registry- Domain name registries are companies that record ownership of the world’s domain names. If you own a domain name you would have received a certificate stating that you are owner of a particular domain name. Some domain name registries update their records every few minutes, others take 24 hours as they have greater security features. This can ensure websites can’t get hacked and domain name transfers happen before the actual owner of the website realizes. ➤ Factor #3- TTL Settings (Time to Live)- TTL is the time your website servers cache information for DNS records. You can adjust your TTL speeds within your DNS/ CPanel dashboard to increase your propagation time but shorter time periods mean the number of queries to your server increases so you’re actually slowing down your website. Personally, I’d avoid touching your TTL settings unless you really know what you’re doing.